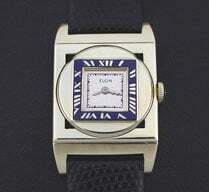 Elgin “Model 207” men’s Art Deco design wristwatch in 14K white gold fill, circa 1929. 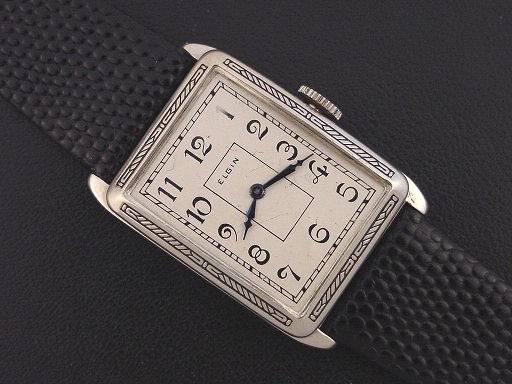 The “Model 207” has a large rectangular case with Art Deco engravings on the bezel, and was priced at $50.00 in 1929. 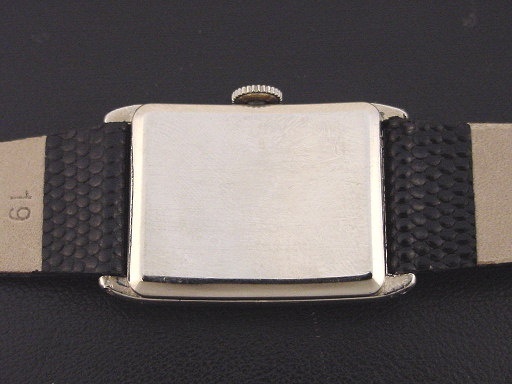 This watch is in excellent condition with no brassing. 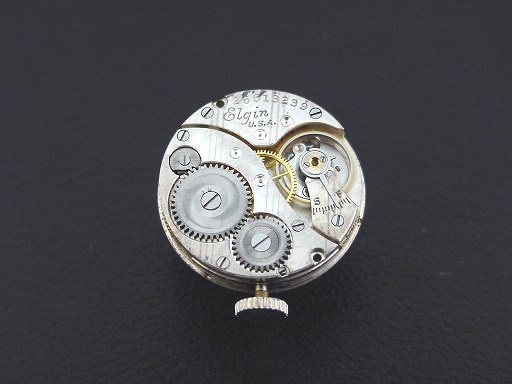 Caseback is very good and unengraved, with a line of wear along each end. The case measures 38mm long and 25mm wide. 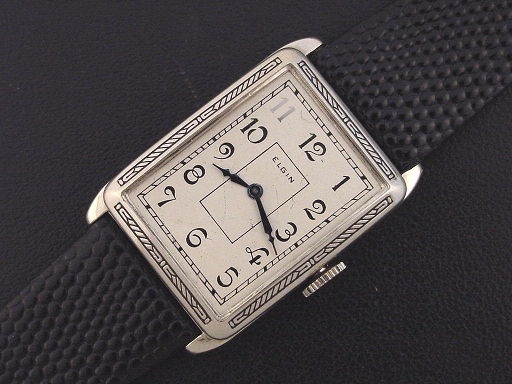 Original silver inlaid numeral dial is excellent, with some faint marks. Has new glass crystal. 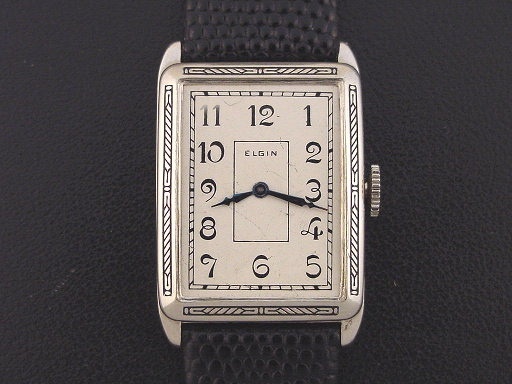 This watch is powered by a 7-jewel Elgin grade 447 manual wind movement, just serviced and running strong.